Accent your dining room or home beautifully with this elegant upholstered bench. 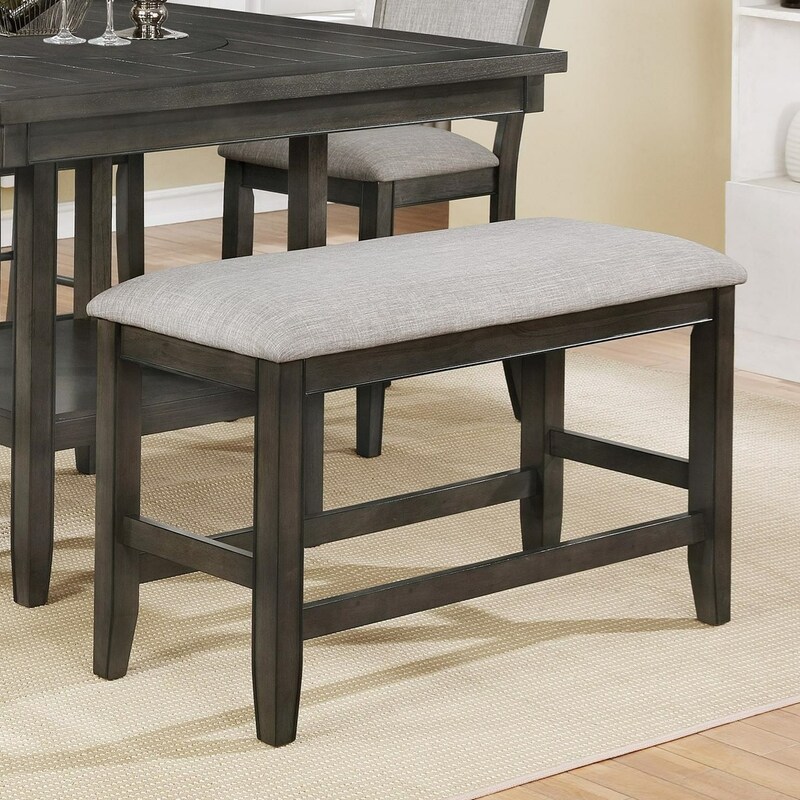 Featuring long tapered legs, this piece carries a rich finish and the seat comes upholstered. Whether you place this bench in your dining room, entryway, or living room, you're sure to give your home decor a stunning style. The Fulton Counter Height Bench with Upholstered Seat by Crown Mark at Miskelly Furniture in the Jackson, Pearl, Madison, Ridgeland, Flowood Mississippi area. Product availability may vary. Contact us for the most current availability on this product. The Fulton collection is a great option if you are looking for furniture in the Jackson, Pearl, Madison, Ridgeland, Flowood Mississippi area.